Inked Hibiscus: Abortion - A Woman's Right? Abortion - A Woman's Right? Last night, I watched "Abortion: Ireland's Guilty Secret" on BBC3. I had seen multiple articles about it over the previous days, and considering it was about Irish women travelling to England for abortions, I felt compelled to watch it. You see, back in 2010, I found myself in Liverpool for the very same reason. 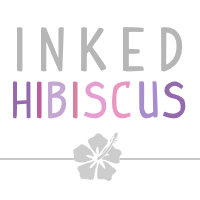 I've spoken about my own personal experiences a little on my old blog, but this is new territory for Inked Hibiscus. If you didn't watch the documentary, the reporter, Alys Harte, interviewed a selection of Irish women about their experiences and feelings after abortion. Tara, and her partner, were interviewed before and directly after her procedure. Lauren talked to Harte two weeks after her termination, which ended with heavy bleeding and passing blood clots on the plane home, effectively having her abortion in a public place. Suzanne, who as a broke student couldn't afford to travel to England, and instead took matters into her own hands by ordering abortion pills on the internet. And Sarah, who changed her pro-life stance after being told her unborn child had been diagnosed with a fatal foetal abnormality, and chose to travel to England to have the abortion she was denied at home. I'll just set the record straight. I am pro-life, in the understanding that any child born should come into the world loved and be provided for. I am not pro-birth. Women should have control over their bodies, not the government, and certainly not the Catholic church. I, for one, was not ready. Emotionally, I still had a lot of growing up to do. Realistically, I was living out of home, in a very casual relationship, with no savings and not much money left over at the end of the week. As much as I didn't want children, I also couldn't afford one at the time. It think it's a disgrace to expect women to have children they don't want. Children that may not be loved. Abortion is an awful dilemma to be faced with, and most decisions are not taken lightly. 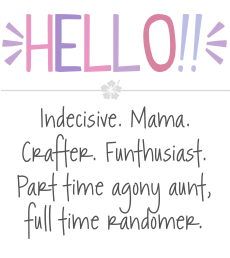 As Tara said "I think I will be able to give a lot more to a child ten years down the line than I am now and that's what I want for me and that's what I want for my future kids." Do I think that abortion should be legalised in Ireland? Yes. Without even going in to the cost, imagine how traumatic it is to have to travel to England, or further afield, away from family and familiar surroundings, to be faced with such a procedure. I know many will argue that it is the decision they made, but at the end of the day, having a baby should be a choice, not a sentence. I know personally, even though I was completely behind my decision to have an abortion, it was daunting. While the staff were wonderful, home seemed so far away. Because abortions in Ireland are usually shrouded in secrecy, and have to be carried out within a certain time frame, it works out expensive. When I got pregnant, I was casually seeing someone. By the time I found out, we had called time on our relationship. I told him, we decided that a pregnancy wasn't the best thing for us at the time, and we tried to come up with the money. I still remember my journey. A bus from my home town to Cork city, on to the airport. From there to Manchester, where we got a bus to Liverpool. We had booked in to a grotty hotel for the night, and had the procedure the following morning. Straight after the clinic, we were back to the airport, and flew into Knock, where we got another bus to Galway city, and another one home. That's a whole lot of travel for someone who is terrified, bleeding heavily and generally uncomfortable. Add to that being with someone who didn't understand why I was upset, and was generally emotionally unavailable. I talked this over with a friend this morning. She has very different views to me, and we respect that it's a topic we will never agree on. She told me that if she was faced with an unwanted pregnancy, she would put the baby up for adoption. Personally, I think that's incredibly brave, but how popular would that idea realistically be? To carry a baby to full term, and be willing to tell people that you don't want the baby growing inside you? Would you risk being shunned by family and friends for your choice? And then there's the hormones kicking in, that are telling you to keep the baby after the birth. All of these women, no matter the circumstances, are brave. To take their lives into their own hands, to have to walk past protesters outside clinics, to deal with the conflicting thoughts and reasons for and against, and come out stronger for it. Over four thousand Irish women travel for abortions every year. Maybe it's a little too close to home for me, but something has to change. But living in a country where religion is so deeply ingrained in decision making, it will be a long time coming. Ireland, it's time to let go of these medieval views and wake up to the 21st century. It should be a woman's right to choose. It's like you say, all of the options take bravery - and it's fine that some women think differently. Like you, I believe that women should have the choices that they need, and I'm sorry that your experience was so difficult, I can't imagine what you went through. Well done for taking the time and bravery to speak out. I'm so sorry you have this experience. It's not right that you had to make such a journey and not have the emotional support you needed. I completely agree with you - all decisions are brave when it comes to pregnancy. We need to be allowed to make those decisions - whatever they may be - privately, legally, safely and ideally without any financial burden, in our own country with our own doctors, and to be able to rest and recover in our own beds. A brave post, a brave lady. Thank you for sharing. 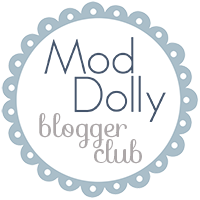 Fantastic post Colette. Thank you for being brave enough to share your own experience and to raise more awareness for this cause. Abortion should be legal in Ireland, not because unborn babies lives don't matter but because women's do too. What a terrible experience for you. I am pro life but I honestly don't think I'd vote pro life. I would never have considered an abortion but if any of my three girls came to me and asked me to go with them I would in a heartbeat, as it is their choice, just as this was your choice to make, not mine. What a difficult post to write, and also to have friends with different views. I think what you did took great strength and to share it here also took courage. Well done.